Last month, we helped each other set goals for the new year and find support in taking the next steps! verynice Women's Design Salon: Resolutions, was an unforgettable event, thanks to the women that contributed their time and talents to facilitate and attend the event. After an eventful and somewhat relentless 2017, a little bit of inspiration heading into the new year felt much needed. The latest verynice Women’s Design Salon: Resolutions, lifted my spirits in a whole new way. The idea of a resolution can often seem overwhelming, but we were reminded that a resolution is really just the determination or the resolve to do something. Joined by special guest Lynda Decker, we dove into this idea covering topics on women in leadership, goal setting, and supporting ourselves and others to reach their goals in the year ahead. The evening kicked-off in an open-discussion format that felt more like an intimate gathering of friends, rather than a structured event. Prompted by questions, everyone was encouraged to contribute to the conversation by sharing personal experiences, asking questions, or offering advice. Given our current political and social climate, it was encouraging to be surrounded by women with such a determined and optimistic outlook on change moving forward. We discussed how now more than ever, it is crucial for women to be in leadership positions. Although it’s not often the easiest journey, we can use our strength as women to encourage good behavior in the office and amongst our peers. I was not only blown away by the experiences people shared around leadership, communication, and the perception of women in leadership positions, but I was even more inspired by the words of support and advice that were shared amongst the group to combat these issues and motivate progress. We took this energy to action with a postcard activity, where we were encouraged to “Thank someone that inspires you or write to someone who needs encouragement.” Written on custom Women’s Design Salon postcards, we were able to send this inspiration to others. Diving into the second half of the evening, we discussed goal setting and different motivators that are unique to each individual. Lynda shared how she started her agency to prove her ex-husband wrong and wouldn’t be where she was today if she didn’t push herself out of her comfort zone. It turned into a discussion about finding what works for you and pushing yourself, even when it’s difficult. Everyone shared personal methods to setting and celebrating goals! People always overestimate what they can get done in one year, but underestimate what they can get done in 10 years. Try writing down 25 resolutions and pick 5 of them to focus on at a time. Write down all the things that you’ve done, accomplished, or been through over the past years so it doesn’t feel like they just disappear. It is important to reflect on the good and the bad and celebrate those moments. At the end of the day, most people have no problem creating resolutions but lack accountability when it comes to working towards those goals. Try different ways of staying accountable for your resolutions such as trying it at the same time as a friend or creating a system where you can write each one down and them mark them off as you go. For some people, just telling others about their resolutions keeps them accountable, because not only is it out in the universe, but their reputation is also at stake. So find what works for you and stick with it! To visualize this conversation, everyone was prompted to write down a resolution for the new year and to set reminders to check-in on their progress. We ended up with a wall of inspirational and concrete steps for the new year----look out 2018! A very special thanks to all who contributed to the inspiration. Please follow WDS on Instagram for updates and inspiration! Interested in getting involved with the Women's Design Salon? Please get in touch at info@verynice.co! As we close out our 9th year of business, I can’t help but look back at the past 12 months and stand in awe of what our team was able to accomplish. 2017 was one of the most generous years in verynice’s history. We managed to give away 57% of our work to deserving causes and organizations throughout the year, a series of donations and discounts worth over $1.3 MM. This year, we also completely re-imagined our approach to impact measurement, and built a tool that allows us to better track how much we are giving across all of our impact models, even broken down by cause. More on that in the new year. 2017 also stands out as “the year of travel” - we were on a total of 80+ flights this year for workshops and talks all across the United States, as well as internationally in Mexico, Brazil, Spain, the Netherlands, and Russia. These adventures are almost entirely thanks to the incredible growth and interest in our Models of Impact toolkit - thank you! Serving as a judge for the prestigious 2017 SAPPI Ideas that Matter Competition in Boston. Developing campaign materials for the California Partnership to End Domestic Violence. Working with General Assembly and the Los Angeles Design Festival to produce 4 successful Women’s Design Salon events. Partnering with our friends at Socialab to bring our Models of Impact methodology to over 1,000 social entrepreneurs in Mexico. 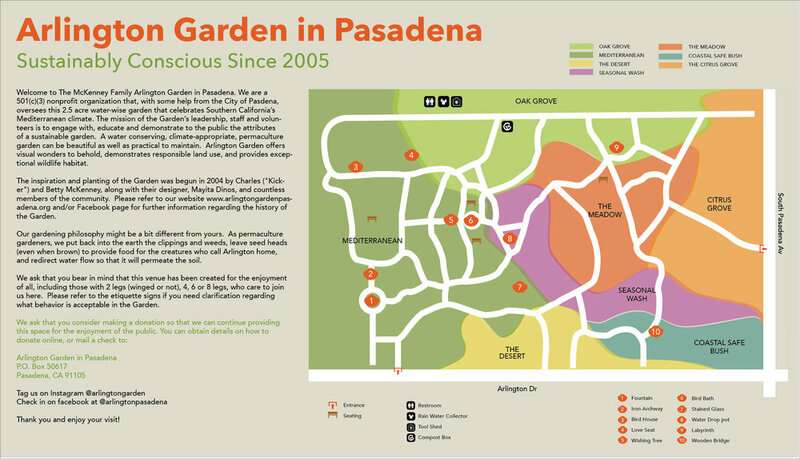 Teaming up with PandoPopulus to facilitate a design workshop in “Death Alley” that involved community members in the re-imagining of use-cases for vacant lots across South Central, Los Angeles. 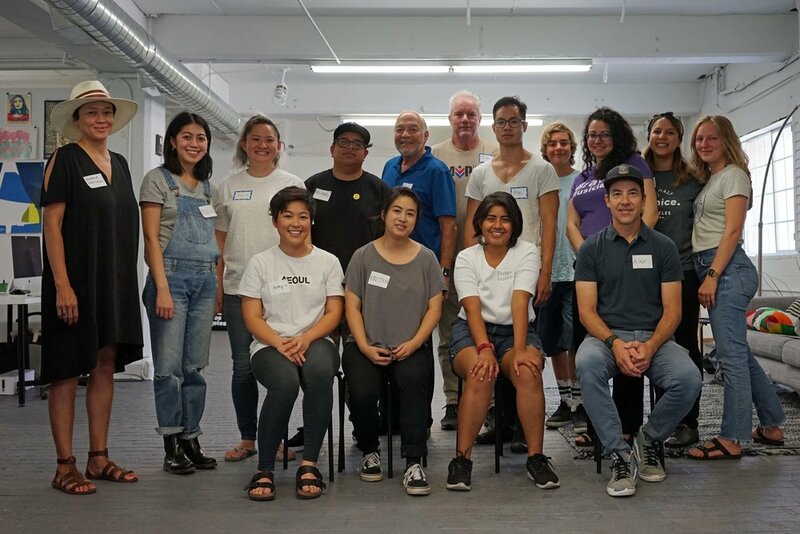 Hosting a 24 hour-long pro-bono marathon at our office with a dozen of our Los Angeles-based volunteers to produce 23 deliverables for 4 local non-profit organizations. Kicking off an exciting partnership with Mozilla to develop new models of impact for the open-source community. Working with the American Heart Association to invent a new methodology for engaging with rural communities across the United States. Partnering with the Los Angeles Mayor’s Office to develop a recruitment campaign for the LAPD. Facilitating a session with Sutter Health to imagine the future of everyday health in San Francisco. Working with AIDS/LifeCycle to launch the 2018 Ride Love Live campaign and brand identity system. 2018 will be our 10th year of business (!! ), and we’re working on a few exciting things to share in honor of this major milestone. Keep an eye out on our social media for updates. We think you’re going to like what we’ve got up our sleeves for the new year. As always, we couldn’t do any of this cool stuff with out the support from our friends, followers, and clients. Thank you so much for your continued support. You rock. Whoa! It's already almost the end of the year. At verynice, we are so fortunate to work with so many amazing companies that are working to make the world a better place... one product or service at a time. Today we're excited to share with you some of our favorite "do good" products on the market. URB-E is the global leader in lightweight foldable electric vehicles and mobile power sources. This product is a wonderful solution for commuters that need a little help getting to their destination in the "last mile". The product even has a wonderful payment plan to make this within reach for many households. Etkie is a unique bracelet that is hand loomed and crafted by Native American artists. The company is in the early stages of becoming a worker-owned cooperative, providing talented Native American women artisans a pathway to becoming business owners. DIGDEEP helps Americans who don't have clean water get it. Currently working to bring water to families in the Navajo Reservations of New Mexico, the organization sells beautiful blankets and other products to support the work they do. JENGA Ocean is the first board game ever using plastic recycled entirely from fishing nets. Did you know that fishing nets discarded at sea are considered the most harmful form of plastic pollution in the ocean? Buying this game helps support the removal of nets from the ocean. Kiva Gift Cards make it easy for your friends and family to loan people in need small amounts of money. Pick up a gift card for $25... $50... or more. The best part? Once the loan is paid back, the money goes back into your account, allowing you to lend again, and again. LSTN Sound Co. creates amazing headphones, speakers, and earbuds that deliver a high quality sound. What's even better is the fact that every time your purchase a product from LSTN, your money helps provide hearing aids thanks to the company's partnership with the Starkey HEaring Foundation. Swipe Out Hunger is the leading organization partnering with universities to end college student hunger. Students donate excess meal points at the end of a semester, and the donated points are issued to students as dining hall credits. The organization also sells a range of fun shirts, stickers, and hats. Each purchase helps support their incredible cause.